Great solution for moving trailers and other wheeled implements! 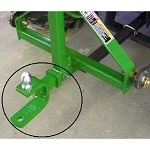 Compatible with the John Deere CAT 1 iMatch quick hitch. 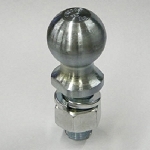 Heavy Duty Hitch with 2-inch receiver to accept various styles of Ball Mounts. Powder coated John Deere green. 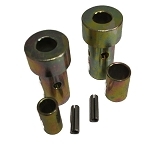 Includes lift pins. 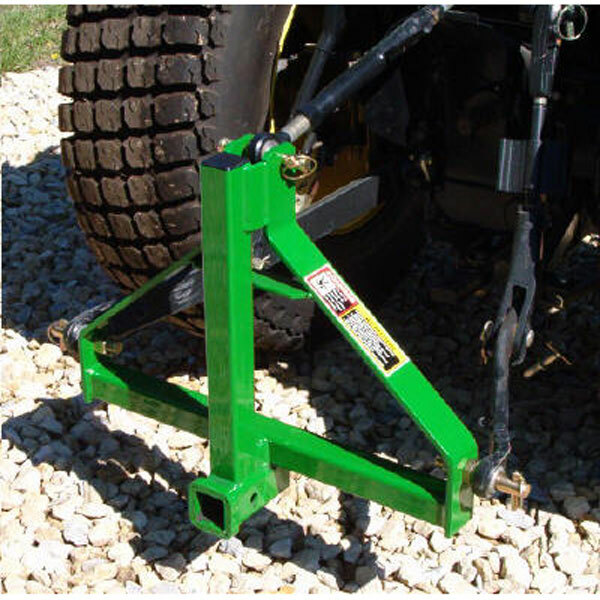 Compatible with the John Deere CAT 1 iMatch quick hitch or any CAT 1 3-point tractor hitch. Towed weight must not exceed 5000 lbs (2268 kg), 600 lbs (272 kg) tongue weight or towing vehicle manufacturer's recommendation, whichever is less. I have had my Heavy Duty 3 - point Receiver Hitch for a little over a month now. I have used it numerous times now and it is very convenient and appears to this point to be durable and reliable. Well made and nicely finished. Could use a hook at the top for a chain. It's well made and it works as intended. Nice piece of equipment. Simple to use and very much needed around the place. Economical and well built.